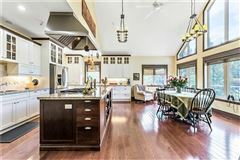 Country estate living with 4,893 square feet of thoughtfully designed living/entertaining space including six bedrooms, seven bathrooms. 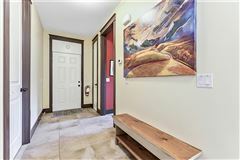 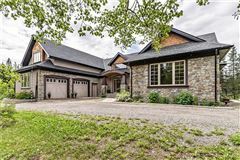 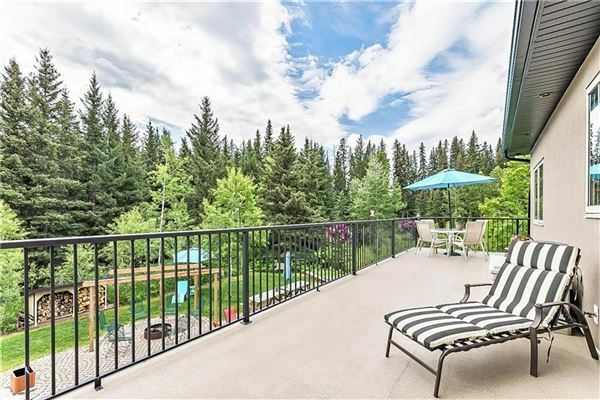 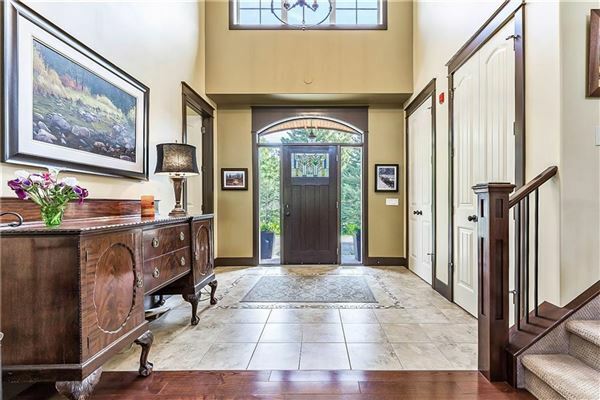 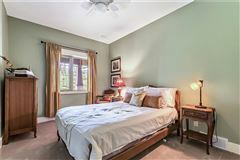 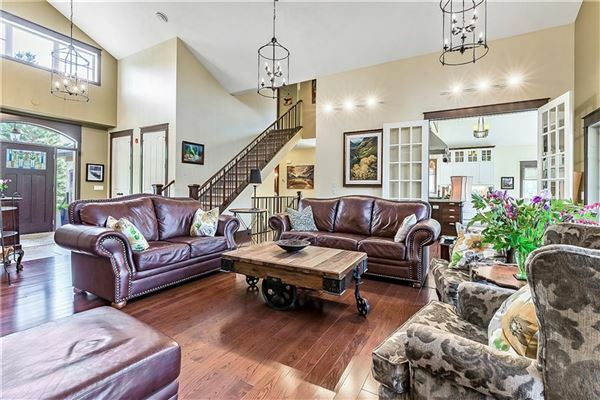 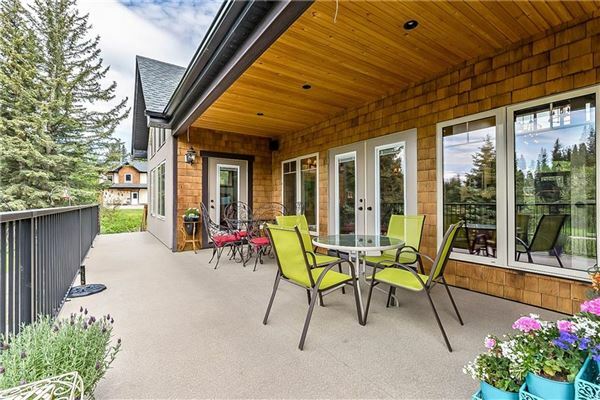 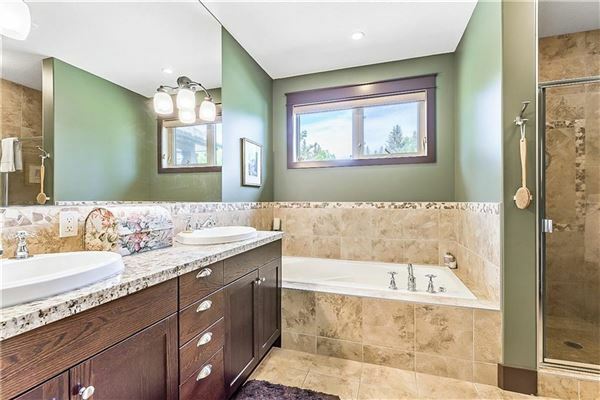 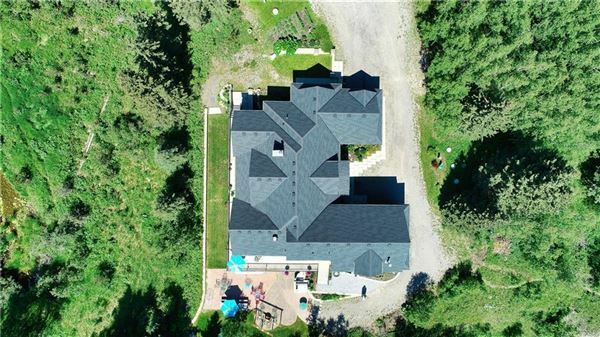 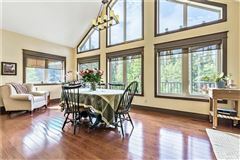 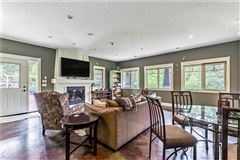 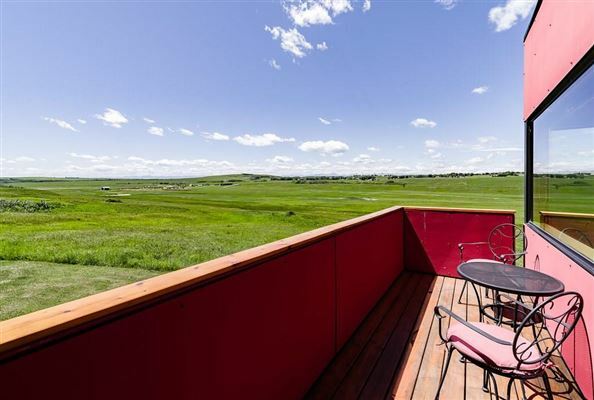 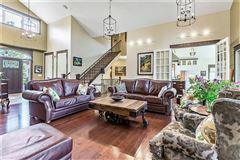 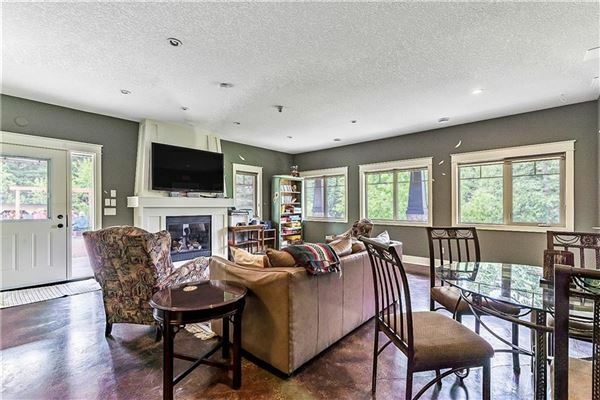 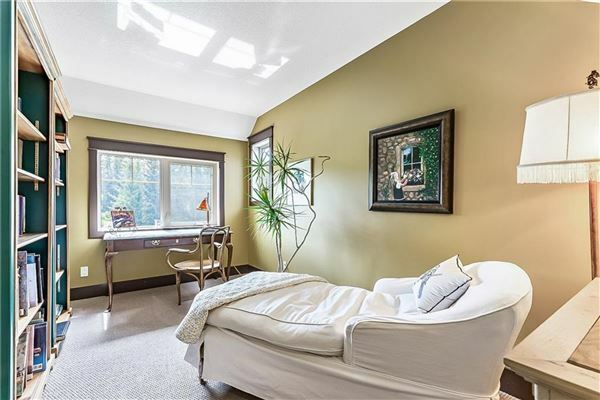 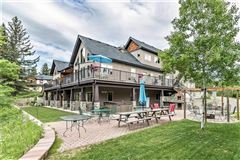 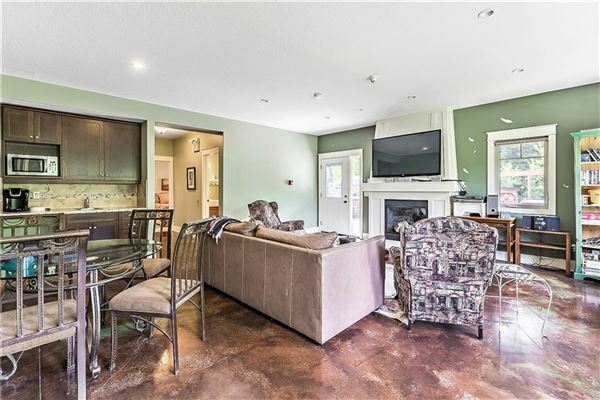 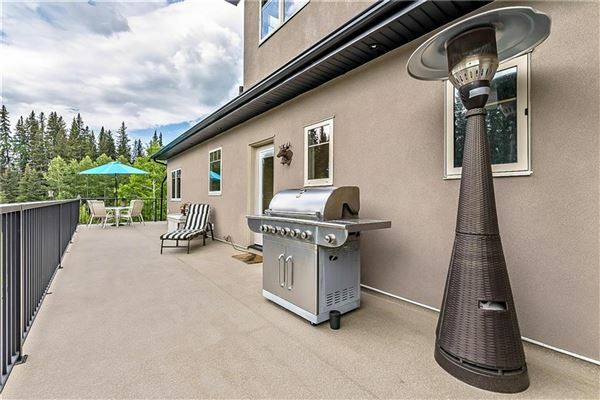 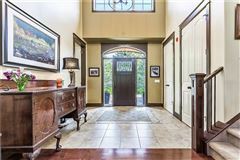 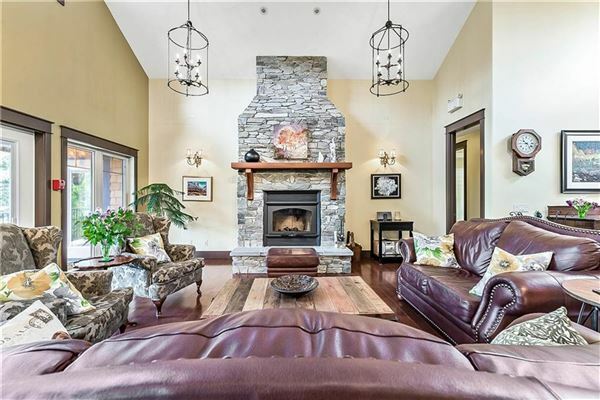 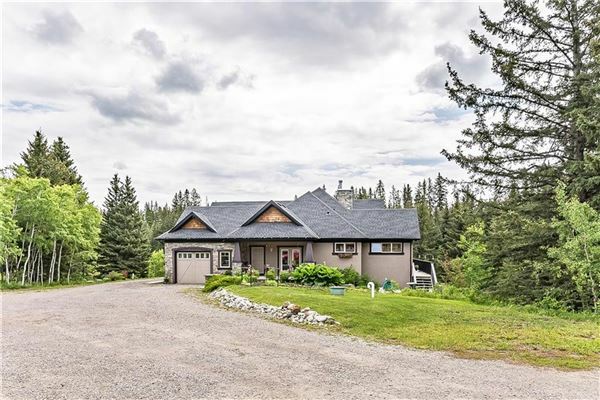 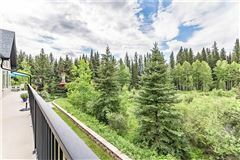 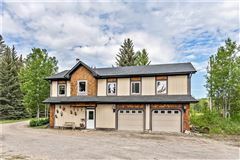 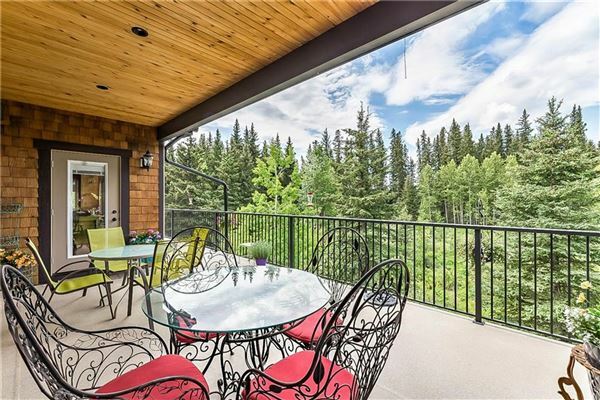 Bright, open floor plan, soaring ceilings and warm finishes, granite countertops throughout, in-floor heating downstairs, two gas fireplaces, double garage/art studio with in-floor heating. 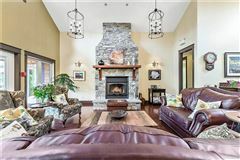 Great room with spectacular wood-burning fireplace finished in floor-to ceiling-natural stone. 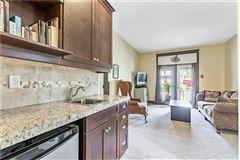 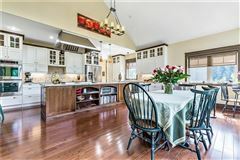 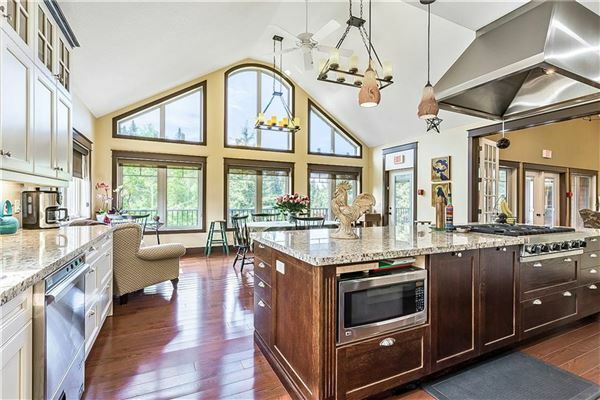 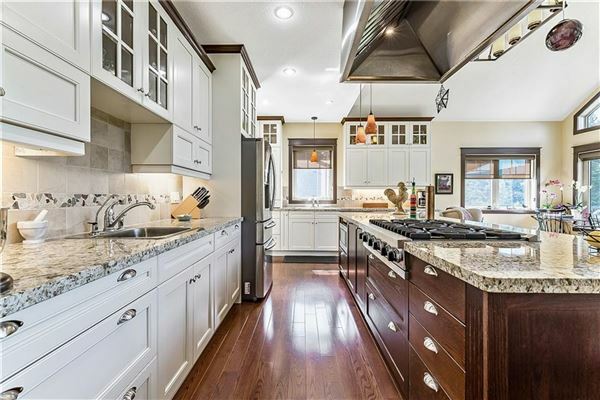 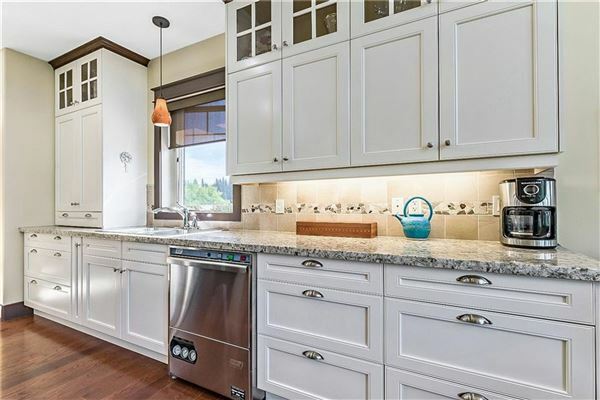 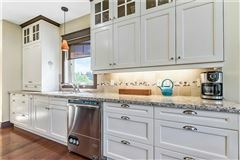 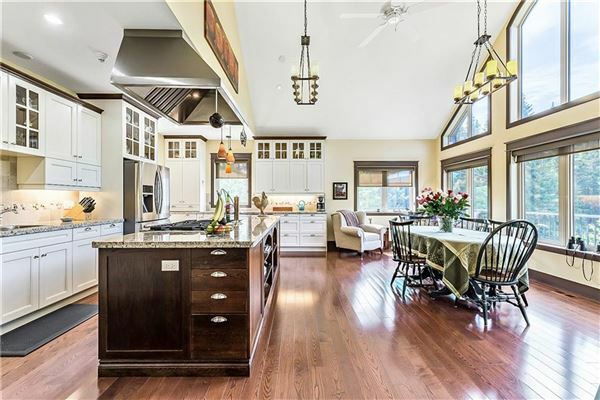 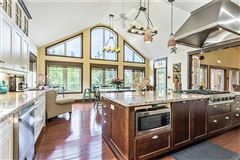 Country kitchen with plenty of storage, oversized island, two wall ovens, six-burner gas cooktop, commercial dishwasher – a package perfect for great gatherings over gourmet food. 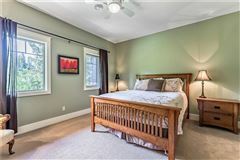 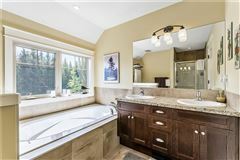 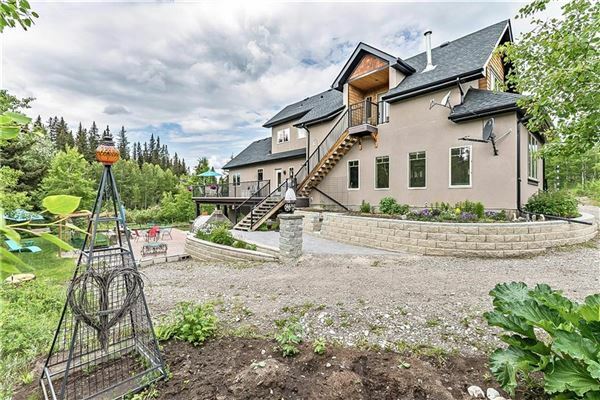 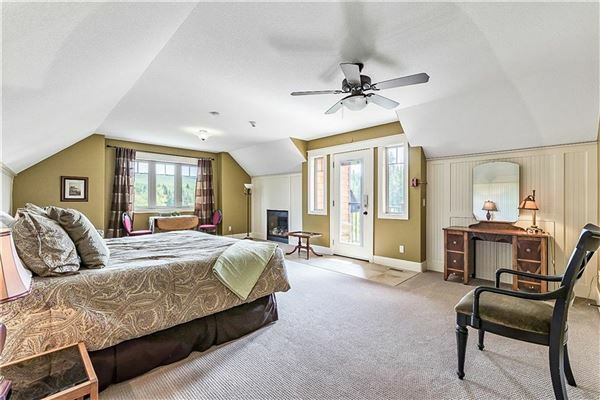 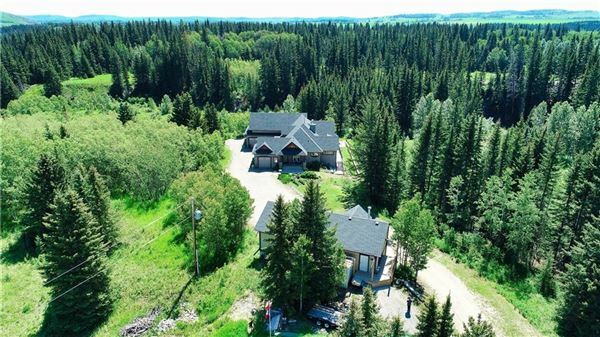 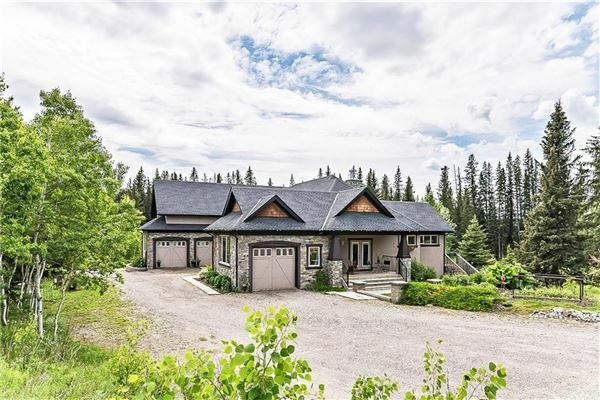 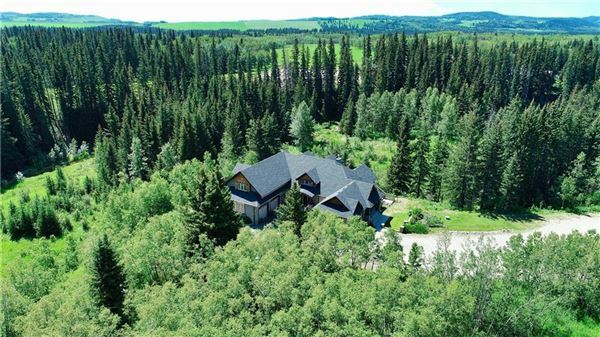 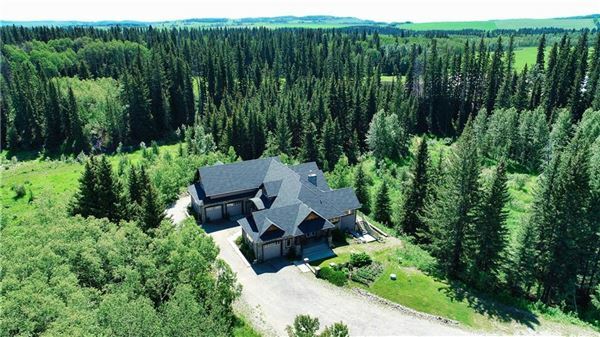 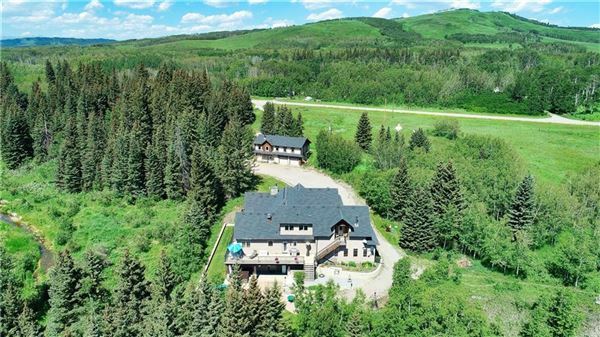 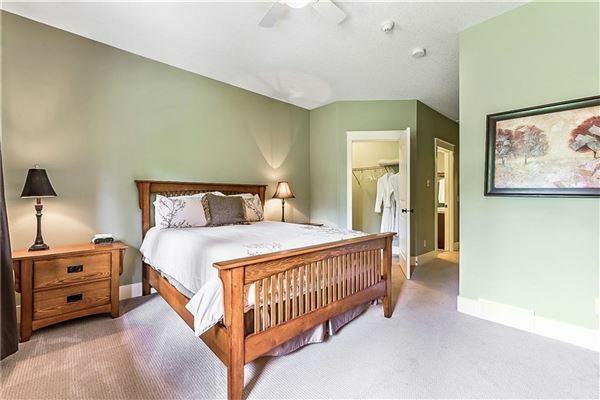 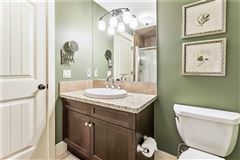 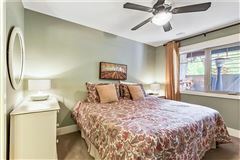 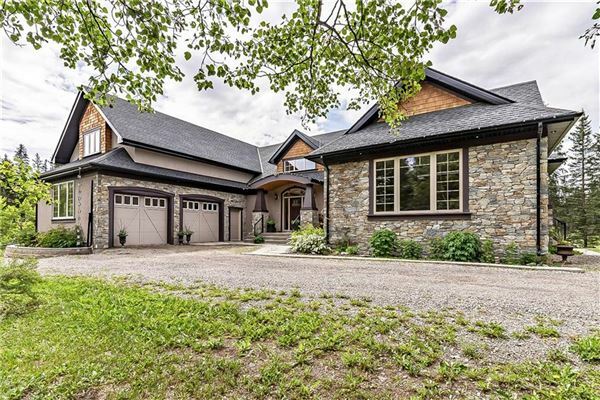 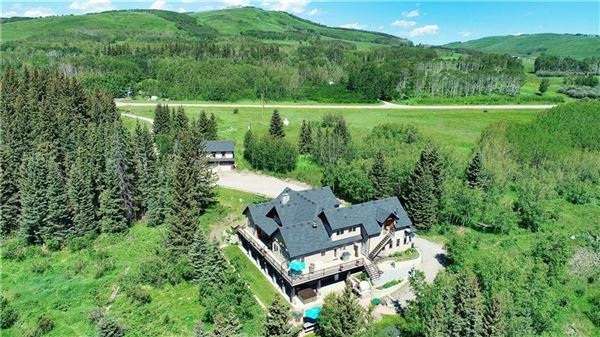 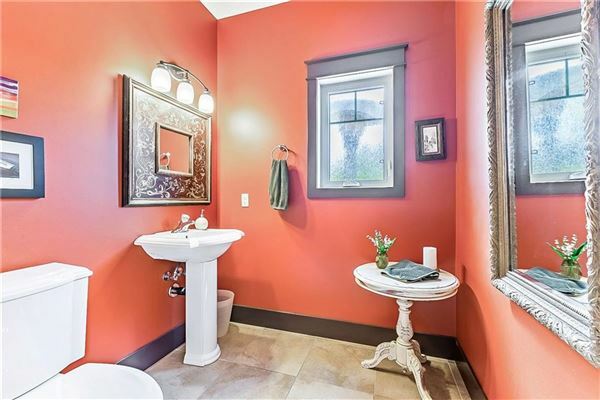 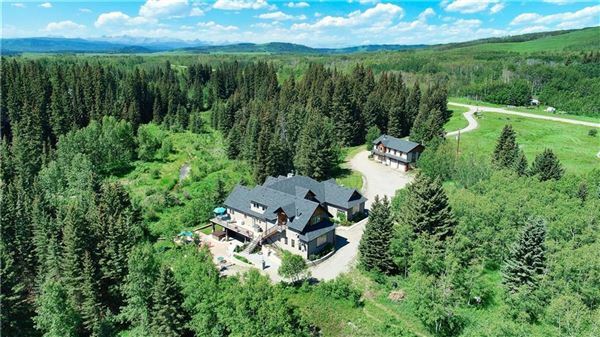 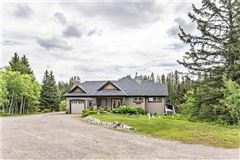 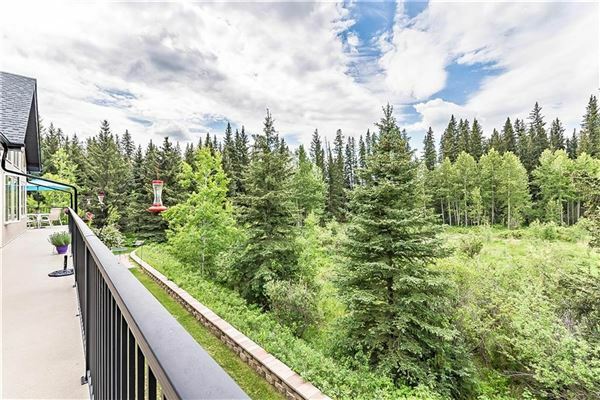 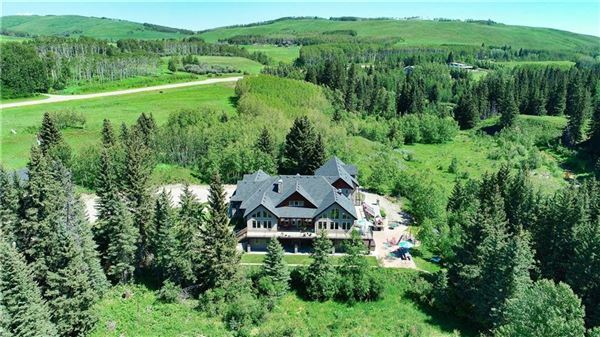 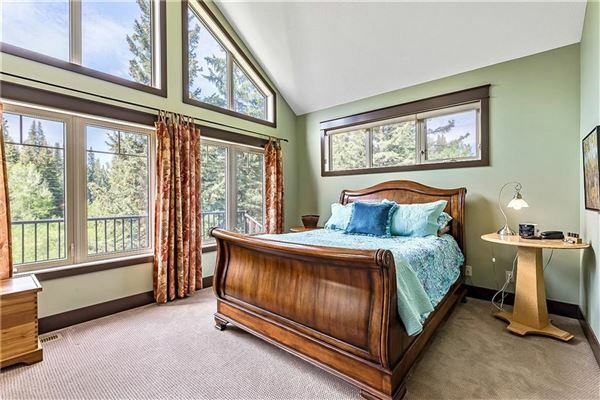 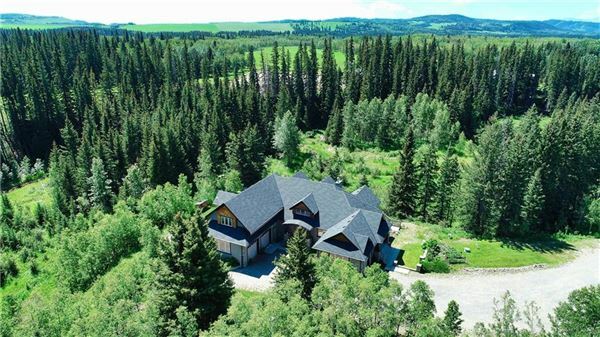 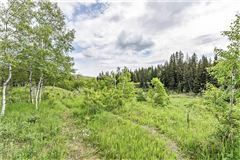 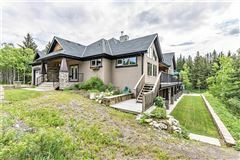 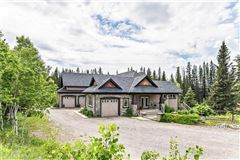 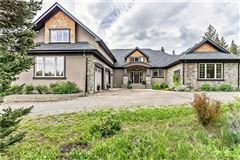 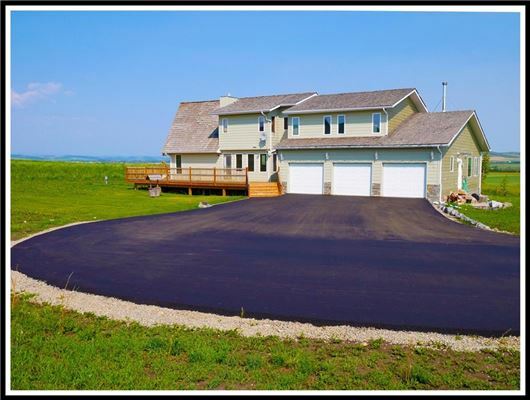 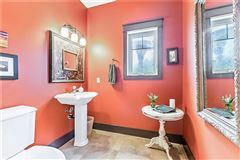 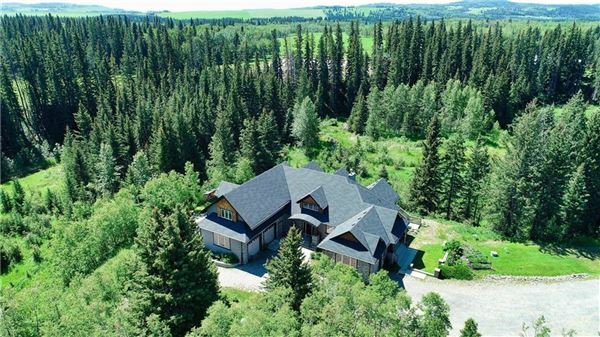 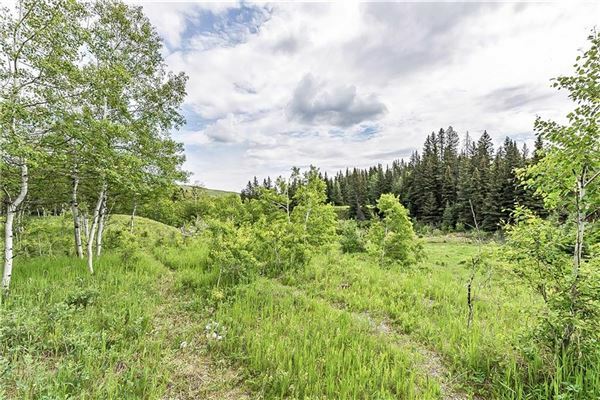 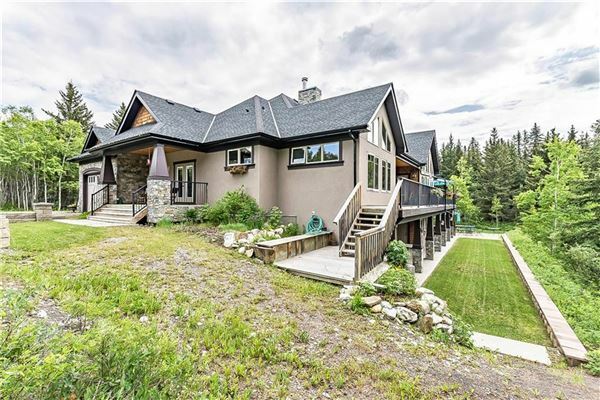 Completely self-contained master suite with ensuite bathroom, walk-in closet, secluded sitting area, private entrance and oversized single-car garage. 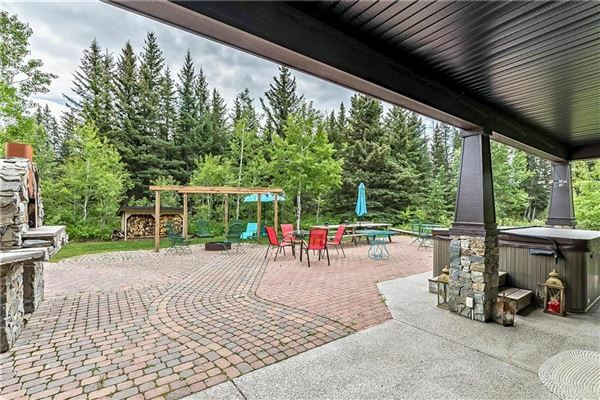 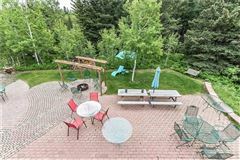 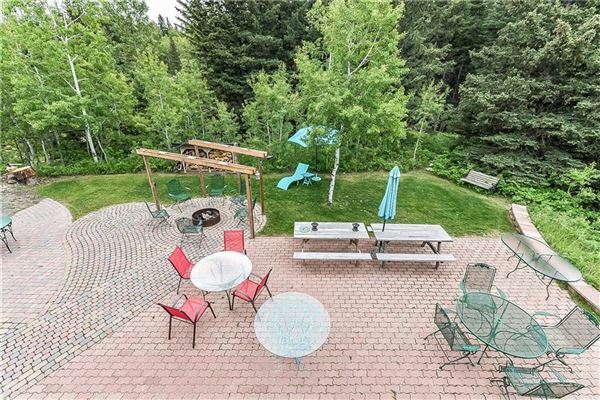 Wraparound decks, hot tub, enormous patio with outdoor wood-fired “forno” oven, fire pit, plus lovely gardens and landscaping.